Ladies, I’ve got a super cute one for you! 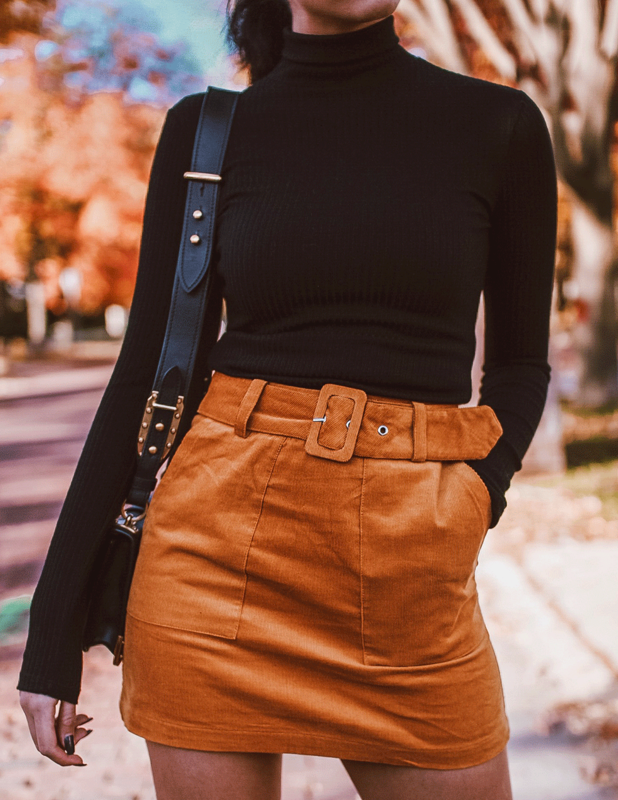 This mustard skirt outfit will guarantee compliments! This black long sleeve turtleneck is from H&M. It is a basic top, but for a reason! Enter Mustard skirt! Is this skirt not crazy cute? It has a chunky belt, it has pockets (I know, pockets, yay! ), it is a warm color that is so in this season. I got this skirt from Forever21, such a good purchase. To pull together the outfit with the black turtleneck, black Miss Lola heels, a black Urban Outfitters hat, and a black Prada bag. The skirt does the talking in this cute OOTD!